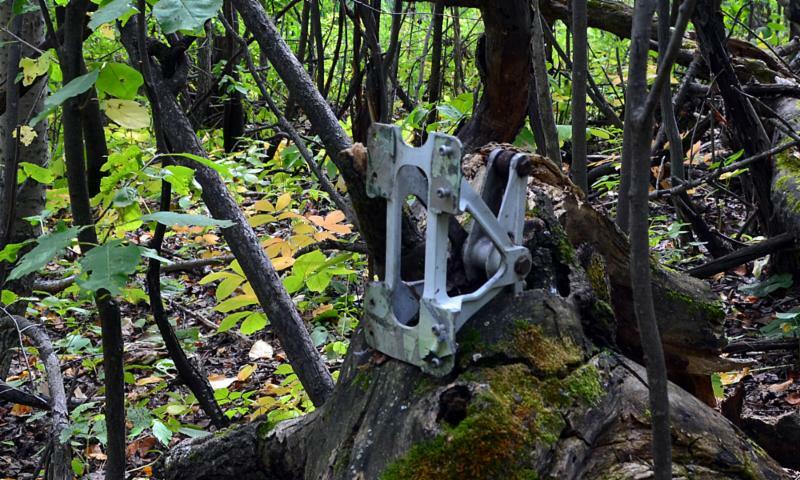 Forty-five years after a Pacific Western Airlines cargo jet crashed on approach to Edmonton's International Airport, pieces of the Boeing 707 are still scattered among the trees in a wooded area of Leduc. Officials with the city want to clear the site to build a park but they also wanted to preserve the remaining details of this historic crash. Alberta Aviation Museum Curator Lech Lebiedowski answered the call. Along with 418 Suadron Archivist Ryan Lee, the pair documented dozens of small pieces that remained at the site. PWA Flight 3801 was inbound from Toronto with 86 head of cattle on the evening of December 31, 1972, when it crashed short of runway 29. All five crewmembers were killed in the burning wreck. The final report into the crash blamed a number of factors including fatigue, bad weather and pilot error. "This is part of our local history," says Lebiedowski. 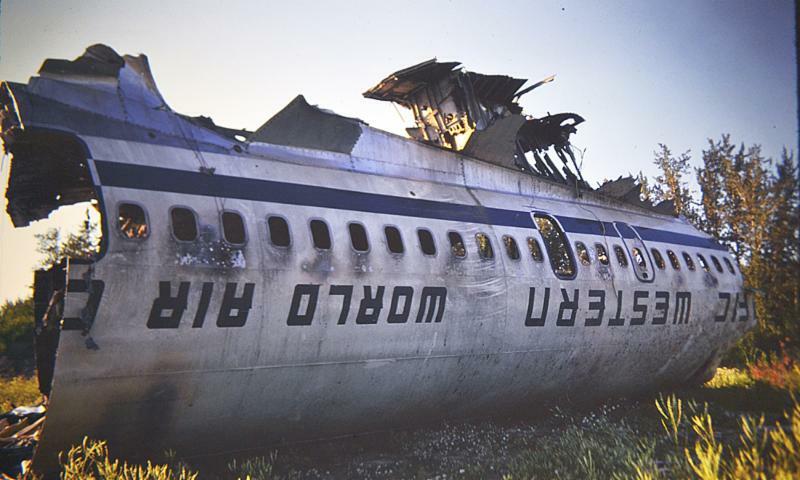 "Many people still remember the crash because everyone died and it was one of the largest aircraft at the time." In return for its efforts, the museum has obtained a section of the fuselage, complete with the PWA markings, for a future exhibit. The rest of the pieces are being kept by Leduc for their own archives. 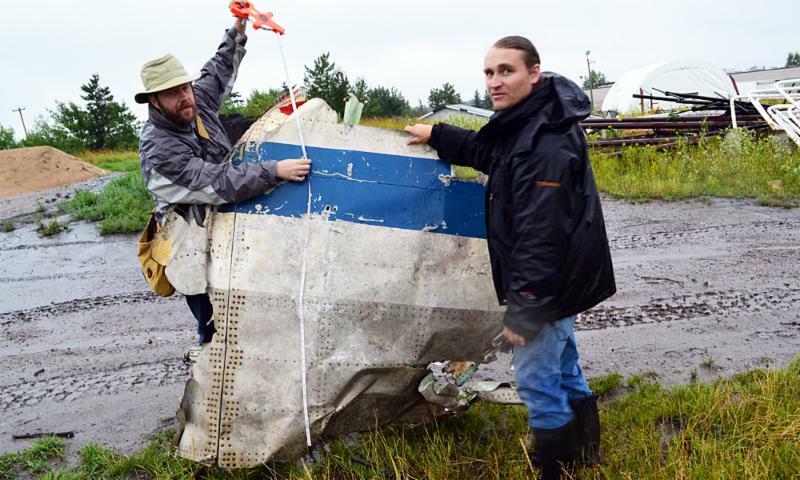 Ryan Lee (left) and Lech Lebiedowski (right) examine a larger piece of the 707's fuselage that had been moved earlier to a storage yard in Leduc. Most of the wreckage was removed from the site four decades ago but are still many smaller pieces in the trees and bushes southeast of Runway 29. 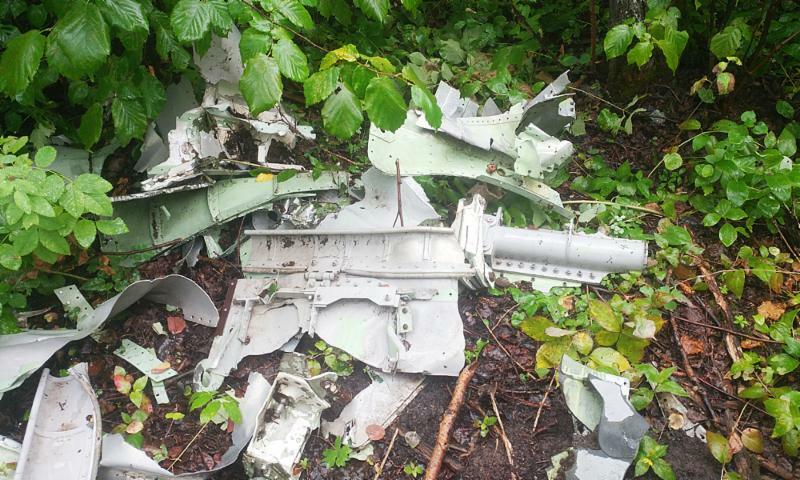 This Boeing 707 bellcrank was found at the base of a tree. This is an original photo from the crash investigation 45 years ago showing the extreme destruction which killed all five crew members on board. The museum lost two valuable members of its team last month. 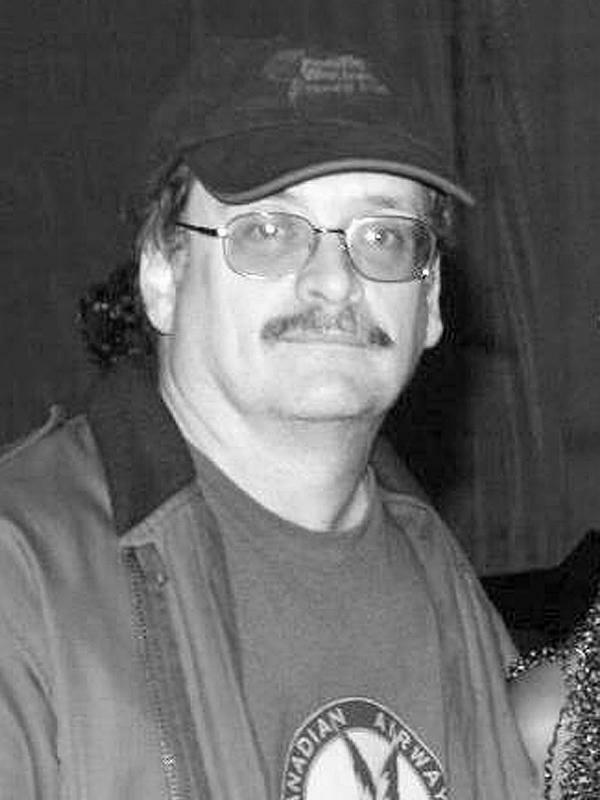 Dave Heathcote, one of the museum's former staff members died on October 13, at the age of 67. Denis Loiseau, a long-time volunteer in the restoration department, died October 21. He was 75. Heathcote worked as the head avionics technician for PWA before being recruited to set up the Avionics Program at NAIT. He joined the Alberta Aviation Museum in 2007 as the education director. Over the next seven years he set up the Grade Six Theory of Flight Program, which is so popular today. He also led the refurbishment of the DC-6 simulator and the Lockheed Electra simulator, a project the museum completed for Buffalo Airways. If that resume is not enough, Heathcote also spent time as a contract pilot for the International Red Cross serving in Vietnam. The full obituary can be found here. Denis Loiseau was a master woodworker who found his way to the museum through a love of aviation after a career in forestry and oil and gas. He was a regular volunteer for about two decades. 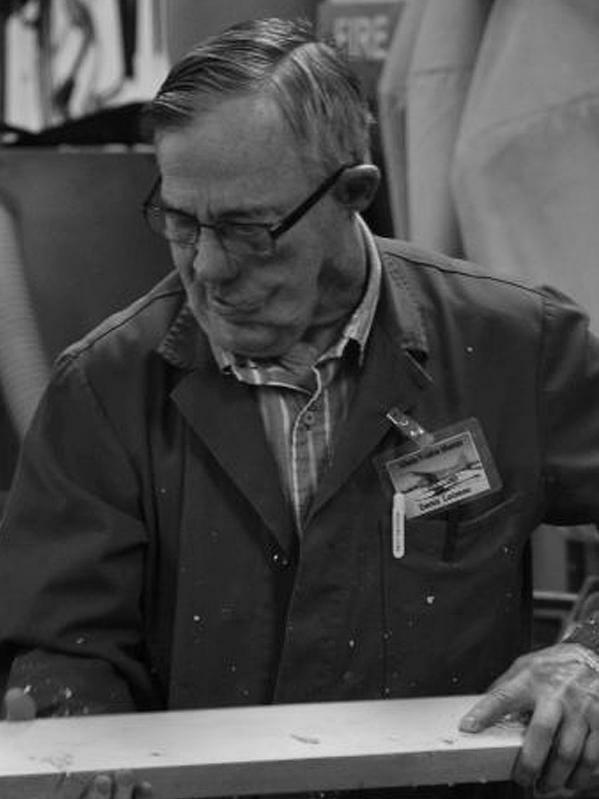 Gerry Blacklock, another long-time hand in the restoration shop, remembers him as a perfectionist. "He wasn't one of these guys who would make it 'just good enough.' It had to be as good as he could make it. He had very high standards." Loiseau and Blacklock worked hand-in-hand restoring the museum's Stinson SR-9 and building the wings for the Katherine Stinson Curtiss Special. Loiseau's obituary can be found here. We offer our heart-felt condolences to the families of both men. Our museum would not be what it is today without efforts like theirs..
Our popular lecture series starts up again this fall, with some changes from last year. As a result of the Servus Open Access Nights being held the last Thursday of every month, we have changed the lecture series to a four-part event. 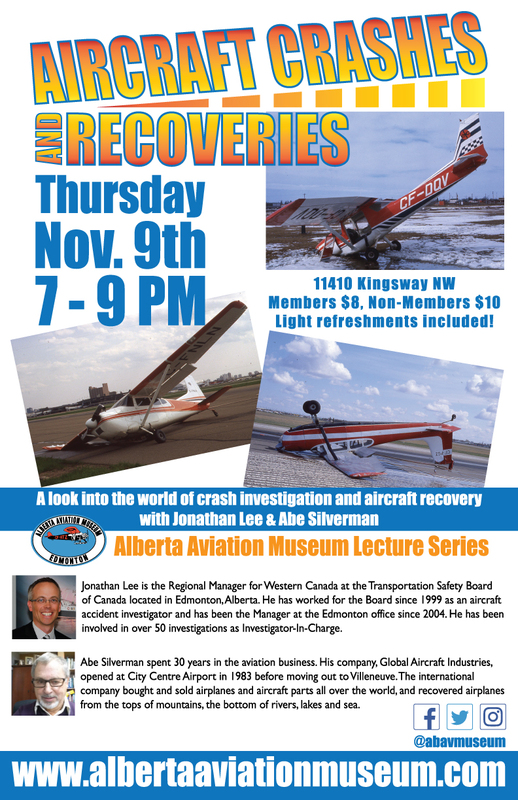 The first, Aircraft Crashes and Recoveries: A look into the world of crash investigation and aircraft recovery , will be held November 9 starting at 7pm. I t will feature Jonathan Lee, Regional Manager for Western Canada, Transportation Safety Board of Canada and Abe Silverman, founder of Global Aircraft Industries. Over the years the two have often worked together with Lee responsible for finding the cause and Silverman called into to deal with the wreckage. They have a unique view of aircraft accidents and incidents in and around Edmonton. 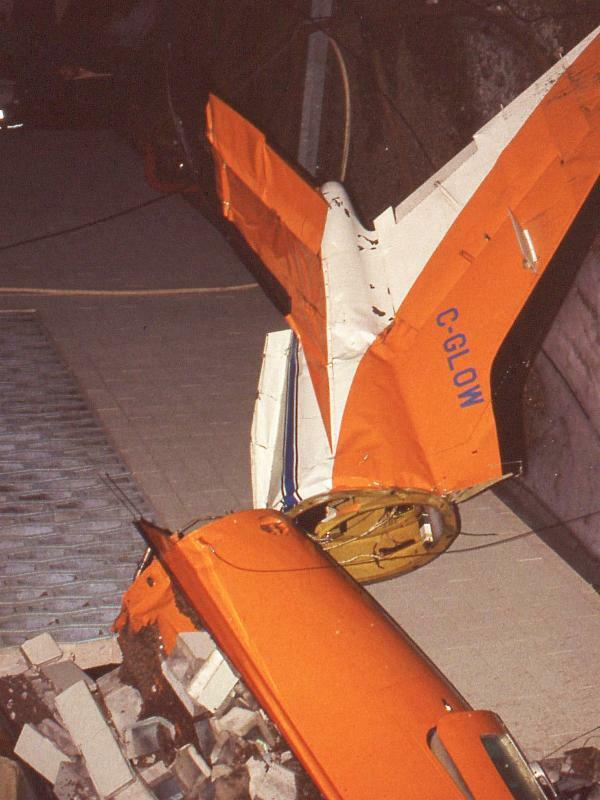 One of the most spectacular, was that of a Mitsubishi MU-2 ( accompanying photo) which crashed into the Royal Alex Hospital on December 7, 1981, killing the pilot.. The January lecture will be presented by AAM board member and former member of the RCMP Air Division, Jack Van Norman. He will speak about the Mounties' long history with aviation including its unit based for many years at Blatchford Field. Admission is $8 for members, $10 for non-members. Doors open at 6:30pm . It is with great disappointment that we must announce the cancellation of the Alberta Aviation Museum Gala fundraiser in November. "This decision was very difficult," says AAM Executive Director Jean Lauzon. "But due to low ticket sales we felt it was the only prudent thing to do. " "The museum is instead going to focus on a slightly smaller event in the spring of 2018. On behalf of the Alberta Aviation Museum Board of Directors, staff and volunteers I would request that you keep us in mind when we send out our notification of our spring fundraising event." In our efforts to make the museum one of the best experiences for our visitors, we are changing the hours we are open to the public. We need more staff time to devote to our museum revitalization. As a result, beginning November 1, we will move to new winter hours. We will be returning to a seven-day-a-week operation next summer. Also note the the schedule for this newsletter will change slightly over the Christmas/ New Year period. The next edition will be published on December 15, with the monthly schedule resuming on February 1, 2018. Thanks for your support of our museum and helping us keep Edmonton's Aviation History alive! It was hard to tell who was having more fun at the Haunted Halloween event, our staff or the visitors. Curator Lech Lebiedowski (far left) dressed up as a northern bush pilot, while Marketing Coordinator Zena Conlin was Rosie the Riveter from WWII. 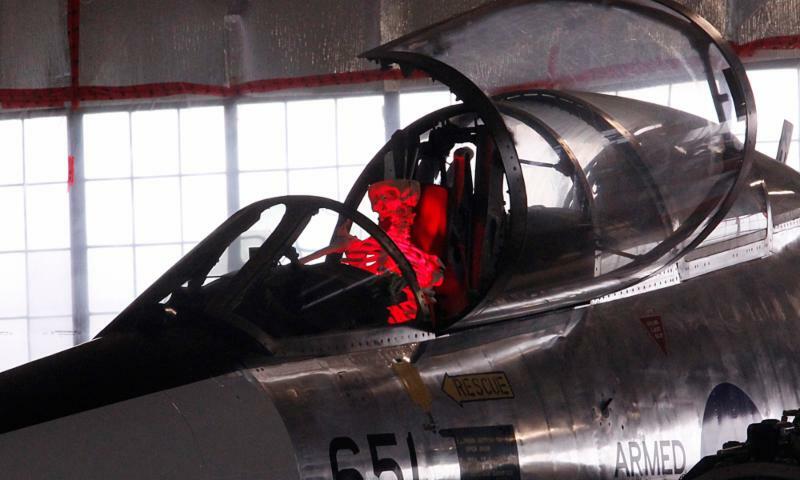 The hangar likely has many ghosts of its own, but we added skeletons, lights and lots of spider webs for the occasion. Complete coverage of the event can be found here. November 9, 7pm-9pm. Aircraft Crashes and Recoveries: A look into the world of crash investigation and aircraft recovery. Our AAM lecture series kicks off for the season with Jonathan Lee, Regional Manager for Western Canada, Transportation Safety Board of Canada and Abe Silverman, founder of Global Aircraft. Admission: Members $8, non-members $10. Doors open at 6:30 pm. Light refreshments included. November 30, 5pm to 8pm. Servus Community Access Night. 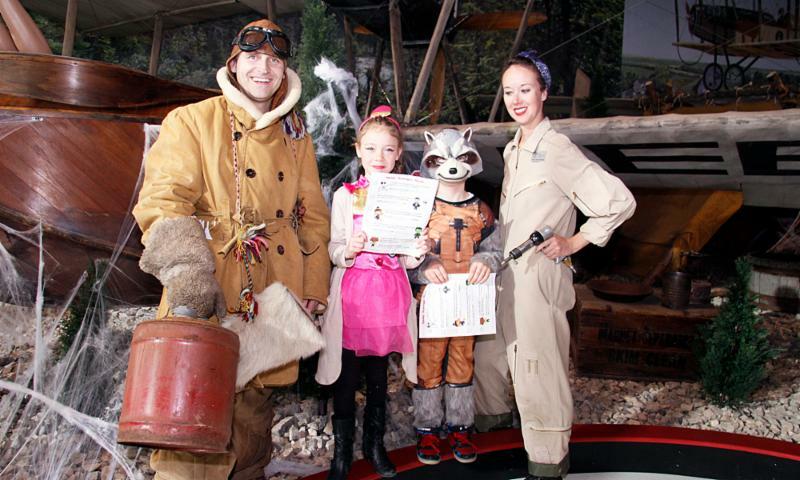 This free event is your chance bring the whole family to see what the Alberta Aviation Museum has to offer. Thanks to Servus Credit Union for their support for this great program. See more about Servus' community program support here.